The open bottom design on this Amish night stand is perfect for storing bedside books and other night time accessories. 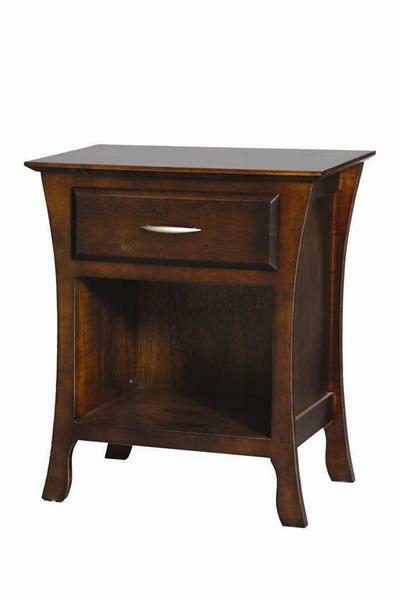 This contemporary night stand is available Amish made from customer's choice of Oak Wood, White Maple Wood, Cherry Wood, Brown Maple Wood or Quarter Sawn White Oak Wood. Please call to speak to our Amish furniture specialists with questions on our Amish bedroom furniture.